Paulist Fr. James DiLuzio was ordained a priest on May 8, 1993. He leads dynamic parish missions and retreats around the United States and Canada. 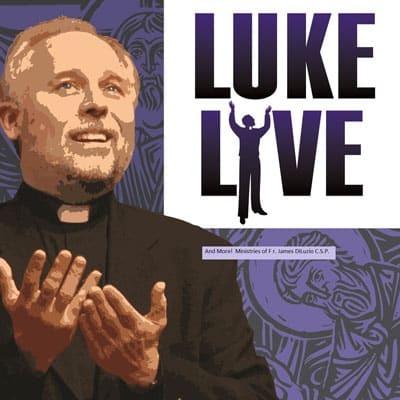 He is the creator of "Luke Live," a dramatic proclamation of the Gospel of Luke that includes meditations, discussions, preaching and song (sacred and secular). He also presents "Resurrection Faith: How & Why It Makes a Difference." This mission explores the many facets of death and resurrection as well as the specific details of each Gospel’s Resurrection accounts. Fr. James' other missions include “Saints Alive!” (with stories and songs inspired by the lives of the saints) and a presentation on the life of St. Paul (in one-to-four sessions). He also offers lectures on Scripture, faith development and Church history. Fr. James holds a Bachelors of Arts in English and Education from Montclair State University in New Jersey; a Masters of Arts in Drama from the University of Southern California; and a Masters of Divinity from the Catholic University of America. Prior to becoming a full-time missionary in our preaching apostolate, Fr. James served as associate pastor of St. Paul the Apostle Church in Los Angeles and as a campus minister at St. Lawrence Parish and Newman Center in Minneapolis, MN. 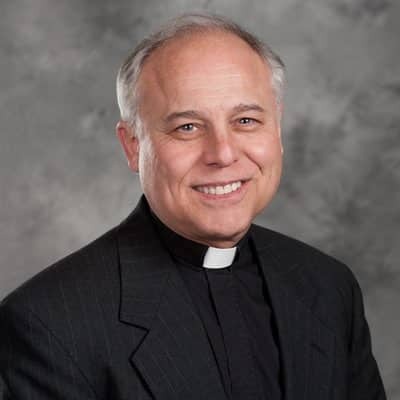 Most recently, he has offered retreats to Sisters of Mercy of the Americas Mid-Atlantic Community; the deacons of the Diocese of Erie, PA; and the La Salette Fathers. (212) 265-3209, ext. 253, or lukelive@lukelive.com. You also may follow him on Twitter, Facebook. and Pinterest.